Small is beautiful! The W.HOFFMANN Vision V 112 upright piano is more than a junior piano. First a word about the origin of this successful model: The new assembly plant C. Bechstein Europe, makes the piano inexpensive and good value. But in the Czech Republic the C. Bechstein Europe watches out for quality – this is Bechstein philosophy. The W.HOFFMANN Vision V 112 upright piano has contributed to this series’ outstanding start. This upright piano stands for a new sound quality: “The Sound of Europe” brings harmonious European musical culture along with piano craftsmanship and construction into a market that is overflowing with the concept “Made in Asia” cheap pianos. The quality components of the W.HOFFMANN Vision V 112 upright piano are atypical: Good content and effective production make this upright affordable for you. Here are a few details that your piano maker will surely be glad to show and explain to you on the instrument itself. Hammer heads with English sheep felt. Small but fine: The W.HOFFMANN Vision V 112 upright piano is an instrument with a pleasant touch and balanced sound rich in overtones. This piano is not just a cheap piano: The W.HOFFMANN Vision V 112 has a sensational price-value ratio. 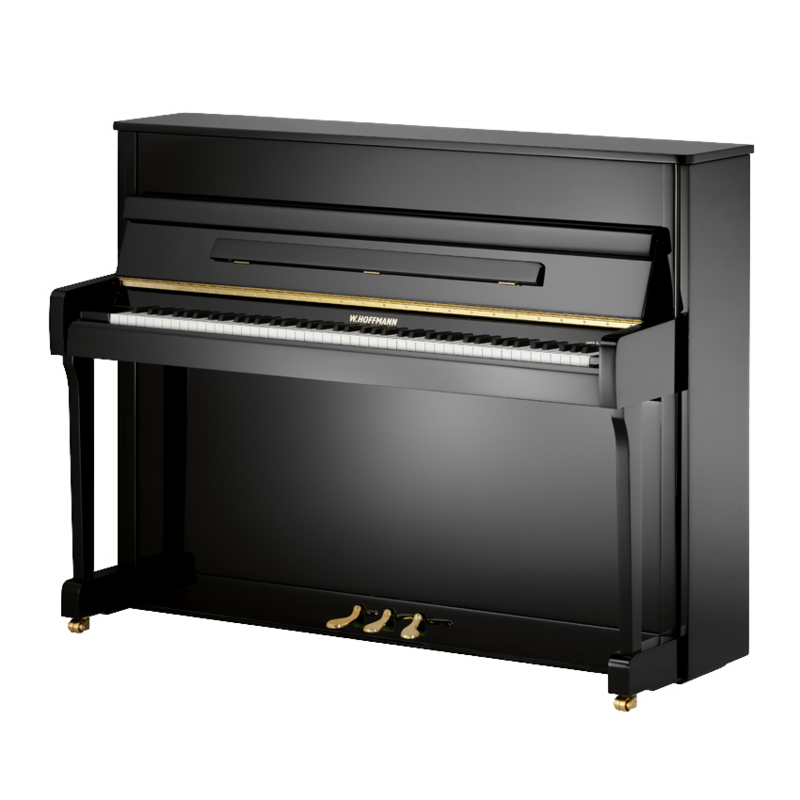 The W.HOFFMANN Vision V 112 upright piano is available with the C. Bechstein Vario System. Thus, you can practice day and night without disturbing neighbours or roommates.